Easily Aroused Puppy. Rough When Excited. Nipping. Chewing. It’s a kind of vicious circle. A constantly challenging, easily aroused puppy can get us down. Our resulting loss of patience makes puppy worse. 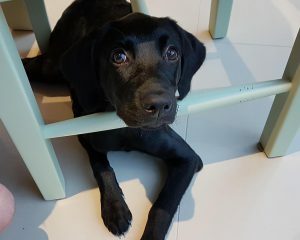 Their days with sixteen-week-old Luna start badly as the easily aroused puppy fights against having her harness put on. The exasperated lady admits being driven to shouting and tears by the wriggling, biting animal. Luna’s life with the first-time dog owners started badly. As soon as she arrived they found she had Giardia. Then, she broke her paw after falling awkwardly and was hospitalised for a week at twelve weeks old. The couple are extremely conscientious with her training, aware that she is a working dog. They are doing all they can to fill Luna’s life. I have a more relaxed take on what a young puppy needs. At this age life should be discovering what works and what doesn’t, with perhaps less human direction. They do all they can to try to keep her occupied but she quickly loses interest. She now needs to start keeping herself occupied for a little longer. In a way I feel they are trying too hard. It’s not often I would say that! They listed for me the problems they are having with their easily aroused sixteen-week-old gun dog Labrador puppy. Jumping up at the work tops and table. Leaping at guests or people that want to say hello to her outdoors – she drew blood from someone. Jumping up, nipping arms and ripping at their clothes when excited. Biting when they try to put on or take off her lead or harness. Grabbing her lead and pulling when walking. Chewing on things they would rather she didn’t despite having plenty of toys – she doesn’t play with toys – just chews and tears them. They are all normal puppy things but, with Luna, excessive. She was very quickly and easily aroused all the time I was there. She became temporarily responsive to clicking for calm and feet back on the floor. It’s important to reinforce those times when she is simply being calm and still. I gave her a yak chew which gave short-term respite before she started again. Easily aroused dogs have a big need to chew which is one of the most effective ways they can relieve their stress. We will start by prioritising things most directly associated with Luna getting easily aroused, concentrating on lowering that ‘stress bucket‘. The couple feel unable to leave her alone which is not helping. They interrupt their night to take her out in the early hours of the morning and are tired. During the day the lady is constantly in Luna’s company, dealing with the behaviour. I suggested they start to get their lives back. Firstly to try leaving her all night and see what happens. They should get into a routine of shutting her in her pen after her morning walk with a stuffed Kong for half an hour. They then can go into the other room and relax! From what they tell me, she may bark briefly to come out so they should ignore that. Over time they can extend the time they leave her to two hours. The lady can then have some freedom. I suggested changing to better food. Diet can also affect the behaviour of an easily aroused dog. We have a plan for putting the harness on without drama. Why not simply leave it on for now, eliminating that from the morning’s bad start? Happier owners will make for a happier puppy, and visa versa. I saw Luna yesterday and received an email this morning: Luna and I have not had any cross words this morning despite lots of attempts at mischief. I think it’s the first time I’ve not shouted and cried before 9am in 9 weeks! She had lots of sniffs on her walk…(we’ve kept the harness on throughout to make things easier just for the first few days), and we started transitioning her onto better food this morning too…..Just now as I was writing this email she was jumping and nipping at my clothes and feet to get attention so I left the room for 5 minutes. After a few whimpers she’s now taken herself off to her crate and is asleep. Peace! Five weeks later: I did just want to write an email to say thank you. Being able to keep our heads above water at the same time as having a new puppy has been incredibly hard. Reaching out to you for help has been one of the best decisions we could have made, and the difference it has made to our relationship with Luna has been amazing. I’m not blind to the fact that things will continue to be hard work which is what we signed up to when we got a puppy. Crucially though, it feels like we have a foundation of strength to build on, which wasn’t there previously. I at least feel the confidence now to give everything a fighting chance of working and that feeling is worth so much to us so thank you. I have just met Henry. 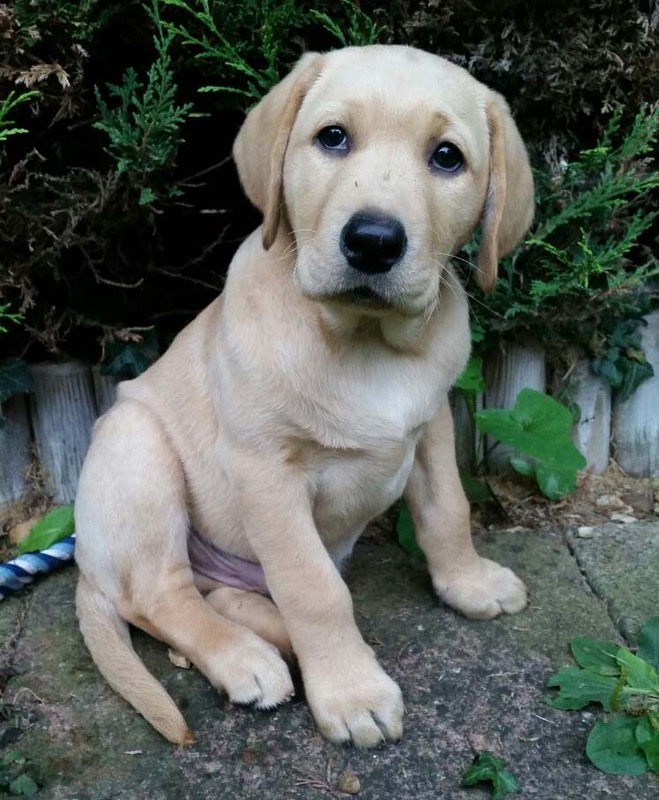 Henry is the most adorable ten-week-old Labrador imaginable – with some of the sharpest teeth! When he’s excited, Henry morphs into a nipping, biting puppy. Faced with him in this mood, his family feel helpless. People instinctively quickly withdraw their hands away from the sharp biting puppy teeth. The teenage daughter has learnt that this isn’t a good thing. She has understandably been getting quite upset and nervous of him. It’s natural when faced with nipping behaviour to try and teach the biting puppy ‘not to bite’. The family’s advice from internet and friends has included tapping Henry’s nose, shouting ‘no’ and generally scolding him. If trying to stop him biting worked, Henry wouldn’t be getting worse. How about trying to start him being gentle instead? Firstly, all people with young puppies need a degree of temporary environmental management for their own sanity if nothing else. There are a few basic things that an experienced puppy owner would have in place from the start, the most important being a smaller ‘puppy-proof’ area where puppy can be contained and can do no damage. Like little children, the more tired and excited the puppy gets, the more out of control he becomes. It’s when he is stirred up that the nipping and biting is worst. He flies at ankles and hands, chews the carpet and does all the other puppy stuff that will then make his humans add to the excitement themselves as they try to control the painful little hurricane in their midst. Instead of stopping unwanted behaviour, why not start desired behaviour instead? It will be only a matter of days before Henry is big enough to leap up onto the sofas, so they will be trying to stop him doing this too. The teenage girls will then have no sanctuary. Up until two weeks ago he had his siblings to play with and diffuse any wildness. They will have told him when ‘enough is enough’ in a way that he understood. Now he has a lot to learn. Henry’s family have an open-plan house with quite a big garden. There are few physical boundaries unless he is in his crate by himself in another room. Playing ball games in the big garden can get him hyped up as can the girls coming home from school. It’s at times like this that he is least able to control himself. Because the biting puppy gets worse the more excited and aroused he is, then the logical first step is to cut down excitement as much as possible. I suggest a pen in the sitting room. He won’t then be isolated. The carpet can be protected and he can have a bed in there. When he gets over-tired or wild he can be popped into his pen with something to chew (or a carton to wreck!). He will be teething, so needs appropriate things to get those little sharp biting puppy teeth into.The family will be able to walk around freely without the puppy nipping their feet. They can go upstairs without wondering what mischief he might be up to downstairs – pale-carpeted throughout. How can they get their biting puppy to be more gentle? What did I do when I was with Henry and his family to show them how to make their biting puppy more gentle? The girls want to touch him without getting nipped or bitten – it gets worse by the day which sort of proves that they aren’t reacting in the right way. One way or another they are giving him a lot of feedback for his biting puppy behaviour when the very opposite should be the case. Within about ten minutes both one daughter and Henry had mastered the meaning of the clicker. He now was clicked and fed for all the good, controlled or calm things he was doing. He loved it and was transformed for a while into a calm and focused puppy. When he was tired, they put a fulfilled and happy puppy into his crate with a Kong to chew. He went to sleep. Instead of hearing the word ‘No’ or scolding, he was being shown what was wanted and was super-motivated to work at achieving it. While we were at it, we also taught Henry to take the food gently out of someone’s hand. Keeping quiet and not opening the hand until the puppy has momentarily backed off soon gives him the message. Puppy backs off and the hand with the food in it opens. Eureka. Actions speak a lot louder than words. Here is a good demo by Victoria Stilwell. A while ago I visited a family that had adopted a terrier from Wood Green. It soon became apparent that the little dog had traits that nobody had been told about. She had lived with and elderly gentleman and now she was with an active family. Despite their very hard work, the little dog simply was just not suited to family life. The children did all they could to cooperate, but simply could not enjoy her because of the aggression she would suddenly display. Over the years I have been to several families who have adopted terriers that have probably entered rescue because their previous owners couldn’t cope. The rescue centres themselves have not been told the full true facts. 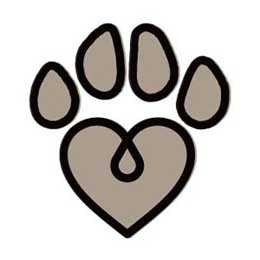 It is massively disappointing to have to return the dog or in one case he was put to sleep because of a severe bite to one of the children. These little dogs, already disturbed, need special handling in a calm environment – preferably with a useful job to do and controlled stimulation. They are not suited to noisy family life, cuddling and playing with children. Anyway, yesterday was a day of rejoicing. The broken-hearted the family had had to return the terrier to Wood Green who very understandingly suggested they regarded her stay with them as ‘fostering’. In fact, due to their hard work with my help, the little dog is now a lot more adoptable and they will be able to target the right sort of home for her. So, yesterday I visited their new eight-week-old Labrador puppy, Autumn. They decided, out of concern for their children who had tried so hard with the terrier and who were so disappointed, that they would start from scratch with the sort of dog more bred to be a family pet. Autumn, like my own fourteen week old Labrador puppy, came from an ideal setup – a family home. Her new family are determined to start her off right so that no unwanted traits creep in later on. The three most important areas when starting off with a new puppy, to my mind, are ‘feet on the floor’, ‘no using mouth or teeth’, and ‘toilet training’. If all attention is only given to her while her feet are on the ground, from the word go, then she simply will never be a dog that jumps up – a favourite Labrador trait! All that is necessary is to gently put her feet back on the ground before giving her attention (saying ‘Down’ is completely wrong as it is likely to hype a puppy up and have the opposite effect – by giving her attention!). The other trait to nip in the bud is use of teeth. This is done by simply removing your hand immediately. If children wave hands about it will be seen as a game. If there is a small nip, then a squeal at the same time as withdrawing all attention will let the puppy know that teeth hurt. This is what her siblings will already have told her, so she will understand. The third most important thing, of course, is toilet training. It’s important not to get too worked up about this. It will come right in the end. The more opportunities she has to go out, the faster she will learn.